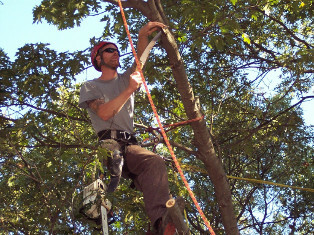 Arbor Care offers an array of tree and shrub services ranging from natural pruning of specimen shrubs, to structural pruning of ornamental small trees, to pruning and removal of our areas largest trees. 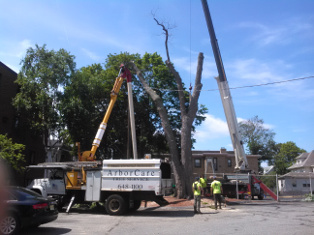 Arbor Care also specializes in all aspects of plant health care with an emphasis on organic solutions to plant health problems. 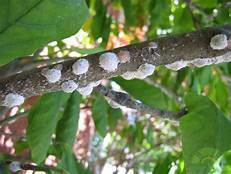 MAGNOLIA SCALE: A recent outbreak of this insect is causing rapid decline of magnolias. Digested plant sap (honeydew) may be dripping from the tree attracting ants and bees. 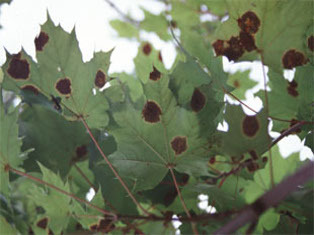 Black sooty mold may be developing on leaves and stems. 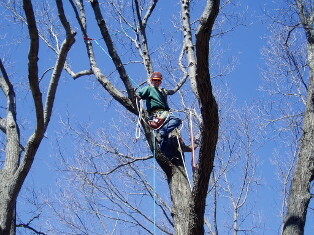 Contact us to inspect your trees and to find out about non-toxic pests control options. 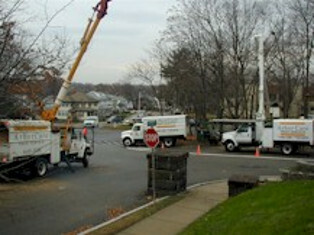 Have trees inspected for potential hazards. 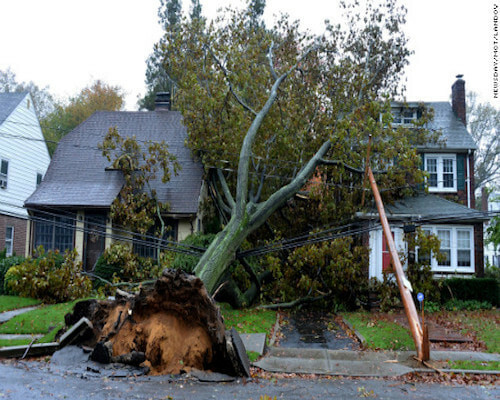 Contact us if you believe a tree on your property may have structural deficiencies. 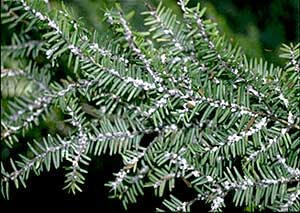 A Canadian Hemlock infested with woolly adelgid pests (Adelges tsugae). These insects are deadly to Hemlocks and must be controlled quickly. without treatment, many specimen plants will be lost over the next decade. 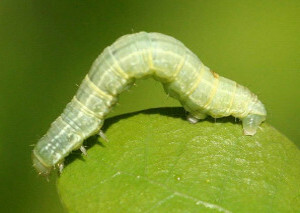 Contact our office for details on how ArborCare can help control these pests without the use of toxic chemicals. 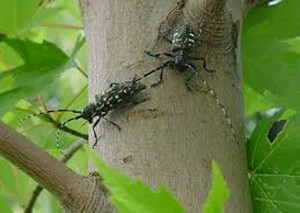 The Asian Longhorned Beetle (ALB) is a relatively new introduction into the United States. It is known to occur in five distinct geographic regions of New York City, several suburbs of Chicago and more recently areas of central and eastern Massachusetts. 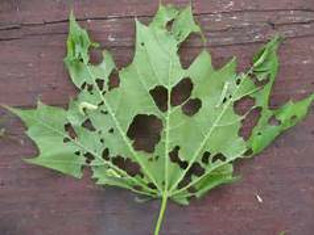 This pest was positively identified in a small area of Worcester, Massachusetts in August 2008 but is not known to occur in any other New England state. The ALB is a wood borer that attacks live, healthy trees; it’s presence usually leads to the death of the host tree. Homeowners and concerned citizens should be aware if its signs and report any suspicious findings immediately to the proper state, federal or Extension personnel. 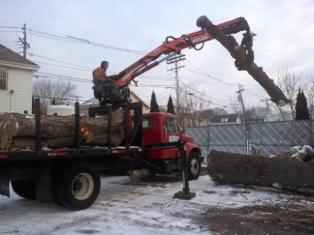 Call our office to schedule an appointment with an arborist.